Songs We Love: Roosevelt, 'Fever' The German producer captures youth, boredom and adventure in a wistful pop song whose video follows three teenagers as they stumble aimlessly into chaos. 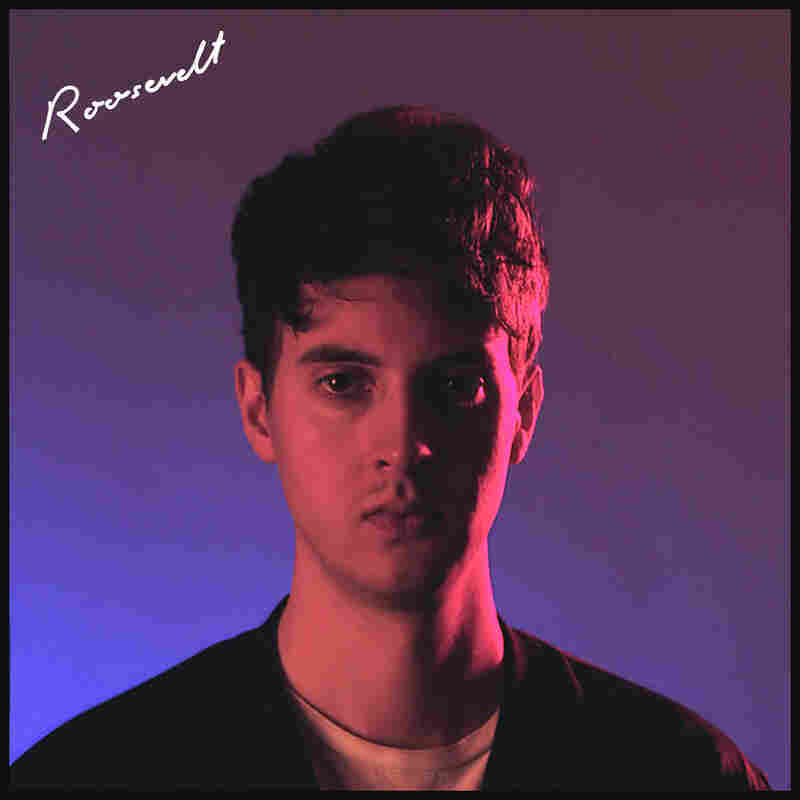 German producer Roosevelt has spent the last five years honing his sound, a gleaming, dubbed-out blend of '80s new wave and electro-pop that feels like Human League at the beach. His self-titled debut album features surfy synths, wistful pop hooks and imaginative instrumentals, including tambourines, shakers, live guitar and even a glockenspiel to give his vocals a dreamy echo. Melancholic and hazy, it's a bittersweet way to wind down the summer. "Fever" captures this faraway feeling perfectly. "Get back to where we started out," he sings, "Find a way up in the sky." The words leave the larger narrative up to the listener, but the video, directed by Elliott Arndt, points to a yearning for youth. The concept is simple. Small-town summers can be dull — so dull that a walk in a cornfield seems like a worthy adventure — so Arndt's film follows three teenagers as they do just that. They meander aimlessly, flirt and stumble upon chaos: an accidental murder, mysteriously abandoned buildings, a hitchhike ride from hell with a driver that's a robot or maybe an alien. Their journey feels like a dream or hallucination, and it's purposefully non-linear. Aside from hitting the song's central themes — youth, boredom, adventure — Arndt and Roosevelt let their imaginations loose. "There was definitely a decision to move away from a narrative structure, and to focus on creating a feeling and an atmosphere rather than a story," Arndt says. "We went through dozens of films and music videos to hunt down references for each scene." He says he was particularly inspired by Michelangelo Antonioni's 1970 counterculture film Zabriskie Point, which fused reality with science fiction and was partly filmed in Death Valley. "The choice of lenses, the space he gives characters in each frame ... it's visual language," Arndt says. The film's most interesting element is the fact that the teenagers never lose their cool. Noticeably nonchalant and blissfully distracted, they're more caught up in each other than trying to solve any larger plot. Of course, this capacity to remain in the moment is exactly the feeling "Fever" tries to capture, and one that seems to fade with time. Roosevelt comes out Aug. 19 on City Slang/Greco-Roman. Roosevelt's U.S. tour starts Sept. 20.